Kateryna Fedchuk was identified early on as a bright, motivated and promising student by Yuri Barinov MD, Chairman of Ukrainian Medical Center of Pediatric Ophthalmology and Eye Microsurgery in Kyiv. 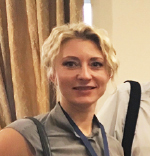 Dr. Fedchuk went on to complete her training in ophthalmology and pediatric ophthalmology and joined the staff of the vibrant and growing department of pediatric ophthalmology in Kyiv. She quickly gained expertise in the diagnosis and treatment of ROP in Kyiv and across all of Ukraine. 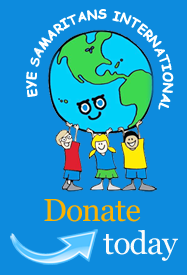 Pediatric ophthalmologists throughout Ukraine refer patients to Drs. Fedchuk and Barinov for treatment, and Dr. Fedchuk spends considerable time ROP training other pediatric ophthalmologists in her country. She screens 15-45 babies per check-up in the Neonatal Center and babies after discharge from local NICUs and all over Ukraine if required. Fluent in English due to a 12-month exchange student experience in the USA, Dr. Fedchuk assists with all translations. Along with Irina Astashava MD from the Russian Federation, Dr. Fedchuk spent three weeks training in the treatment of extremely difficult ROP under Dr. Subhadra in Hyderabad, India in 2013. She spoke at the ESI-sponsored Black Sea Conference on ROP in 2014 as well as the Regional Ophthalmology Conference in Yerevan, Armenia in 2017. She also spoke on ROP at the ESI sponsored Black Sea Conference on ROP in Budapest in 2014 and the Regional Ophthalmology Conference in Yerevan, Armenia in 2017. Dr. Yuri Barinov began the pediatric ophthalmology program in Kyiv after his excellent training in St. Petersburg, Russia. He has assembled an incredible team of pediatric ophthalmologists that serve Kyiv, a city of four million and the surrounding area. Dr. Barinov is an expert in the diagnosis and treatment of ROP and he has extensive experience in strabismus surgery as well. Dr. Barinov is the only pediatric vitreoretinal surgeon in Ukraine and he performs four to six vitreoretinal procedures each week on children throughout the country. 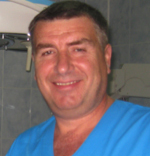 He selected Dr. Fedchuk while in training and helped her develop experience in ROP. Dr. Fedchuk not only screens and treats ROP, but also provides training for pediatric ophthalmologists all over Ukraine. 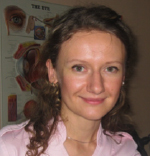 Dr. Barinova is a talented pediatric ophthalmologist in Kyiv and an essential part of the team that delivers eye care to Kyiv and much of Ukraine. She specialized in pediatric oculoplastic surgery and spent two weeks training at the prestigious Moorfield’s Eye Hospital in London, England. She had refined her surgical techniques and now receives consultations for difficult oculoplastic problems from much of Ukraine. She is married to Yuri Barinov, MD, chairman of pediatric ophthalmology at the National Pediatric Specialized Hospital in Kyiv.